In it (and it was written in 1988, before the ordination of women priests, and its language is strikingly of that we used in the mid/late 80s on Anti-Section 28/9 Marches, which seems a little problematic now), Leech explores the confusing relationship between the ready embracing of Anglocatholicism by (at the time) gay men and its bizarre simultaneously homophobic and misogynistic nature. Recently, letters have been written to the Bishops condemning the Pastoral Advice over the reception of the newly transitioned with a renewal of baptismal vows from not just the Conservative Evangelical but also the Anglocatholic, and my Twitter timeline is padded with expensively dressed youngish men who extol a fervid ritualism and an equally conservative approach to social policy. Leech – a lifelong sacramental socialist – sitting on the fringe of Anglocatholicism appears mystified by this duality. To me, it feels like Stockholm Syndrome, where the captive develops empathy and then love for the thing that imprisons it. 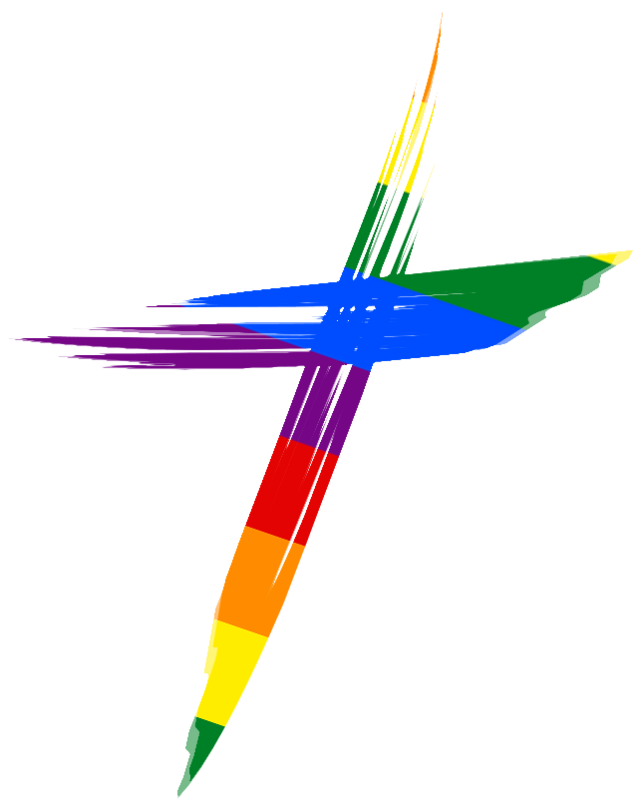 Without LGBT+ Clergy the whole church would fall, not merely as it would fail to represent the true body of Christ, but because of the sheer numbers of devoted, committed LGBT+ people in its clergy and in its pews. Why then, does the Church and the Anglocatholic Tradition therefore stand so condemnatory of its own? I was a product of a Theological College where Names and Religion held sway: a nickname that put you in the opposite gender: Ruby, Minerva, Gloria, Mildred (we were all male ordinands at the time, and ordinand wives were given names like Steve and Bruce: I expect the female ordinands get them now) with all the arch-knowingness of a drag act. Straight or Gay (married, single or very single) these nicknames were pervasive and accepted, even celebrated. With it, came acceptance. Some Ordinands had girlfriends come to stay, some had boyfriends come to stay. They were all welcomed, accepted, celebrated even. Certainly, some AC priests seem to operate on the basis of a rigid anti-gay position in what they say, combined with a very permissive attitude in what they do and in their pastoral dealings with others. The combination of public anti-gay rhetoric and private gay lifestyle is well known in some AC circles and produces curiously unpleasant manifestations from time to time. Statements by some leading AC bishops in recent months suggest that they too are living in two worlds, speaking in public as if “practising” homosexual clergy did not exist in their dioceses, yet surely knowing from their pastoral experience that this is not the case. The AC subculture seems to have promoted this kind of doublespeak and dualism, and encouraged its growth. It is not a promising basis on which to build a responsible sexual ethic. If the nature of sacramentalism is only to force our true natures inside, in private, in denial of our incarnated realities, and Anglocatholicism (whatever that actually means – Leech’s historical pen portrait was simplistic but an interesting overview of wider general interest) engenders that dualism, then it is neither healthy nor realistic. With the advent of renewed anti-LGBT+ sentiment here in the late 2010s, we need to understand and at times challenge this self-loathing. I’ve been working on this graphic in photoshop, and although I got (eventually) the thing I wanted, I’m still not clear how I got there. Use freely. To save, Right-Click and select “Save As…” or “Save Image As…” depending on your browser. and this is the slightly more textured version. The photoshop file is here. 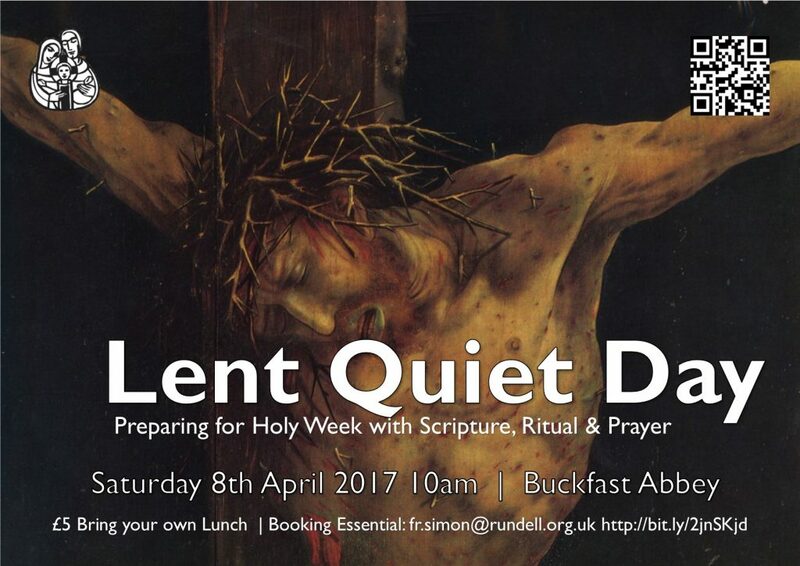 This quiet day is open to all and costs just £5. There is a separate dining area for us, so bring your own lunch. As numbers become clear, we can arrange car-shares etc. To sing your praise and glory. Even in the face of our human frailty and failings. Liturgical note: Yes, you CAN write your own prefaces! The love of God is always there. If you have a phone like an iPhone or an Android, there is usually an app to record your voice – often called “Voice Memo” or some thing similar. 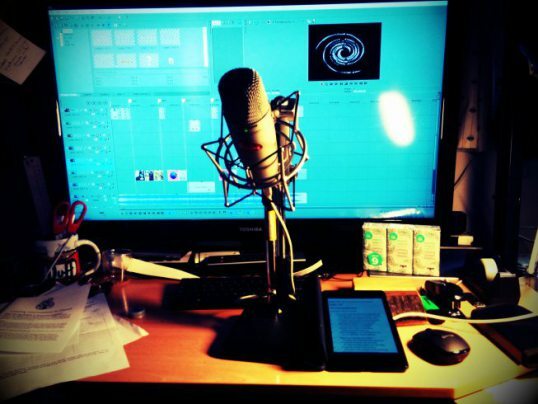 I use a free Android App called ASR which can be installed for free from https://play.google.com/store/apps/details?id=com.nll.asr If you have better recording equipment, then even better, but I have found that most smartphones are good enough nowadays. You can configure it to record at quite a good quality: I would suggest 128k in MP3 or MP4 format if that means anything to you. If not, just record it as it comes and I will do spooky mysterious things with it with electronics. iPhones will record in the very nice .M4a format. This is fine, but please try and set it to the highest quality you can: not too loud, not too soft. Read (nicely and in the highest possible quality) the texts shown below. It would be really helpful if you named the file with your name. This will help me collate them. I will cut it up with all the others and make these into a readings using the multiplicity of voices, accents, genders etc. Can you tell others and ask them to do it for me please so I get lots and lots of voices. From Paul, an apostle of Christ Jesus by the will of God, To the saints who are also faithful in Christ Jesus: Grace to you and peace from God our Father and the Lord Jesus Christ. Grace to you and peace from God the Father and our Lord Jesus Christ, to whom be the glory for ever and ever. First, I thank my God through Jesus Christ for all of you, because your faith is proclaimed in all the world. For God is my witness, that without ceasing I mention you always in my prayers, asking that somehow by God’s will I may now at last succeed in coming to you. I want you to know, my dear friends, that what has happened to me has really served to advance the gospel, many have been made confident in the Lord because of my imprisonment, and now are much more bold to speak the word of God without fear. BUT we do not want you to be ignorant, dear friends, of the affliction we experienced in Asia; for we were so utterly, unbearably crushed that we despaired of life itself. Oh, foolish Galatians! Who has cast an evil spell on you? Therefore, I urge you, in view of God’s mercy, to offer your bodies as living sacrifices, holy and pleasing to God—this is your spiritual act of worship. Let me ask you only this: Did you receive the Spirit by works of the law, or by hearing with faith? Are you so foolish? Having begun with the Spirit, are you now ending with the flesh? Did you experience so many things in vain?—if it really is in vain. Does he who supplies the Spirit to you and works miracles among you do so by works of the law, or by hearing with faith? There is neither Jew nor Greek, there is neither slave nor free, there is neither male nor female; for you are all one in Christ Jesus. And if you are Christ’s, then you are Abraham’s offspring, heirs according to promise. First of all, then, I urge that supplications, prayers, intercessions, and thanksgivings be made for all: for kings and all who are in high positions, that we may lead a quiet and peaceable life, godly and respectful in every way. This is good, and it is acceptable in the sight of God our Saviour, who desires all to be saved and to come to the knowledge of the truth. For there is one God, and there is one mediator between God and men, the man Christ Jesus, who gave himself as a ransom for all, the testimony to which was borne at the proper time. If anyone aspires to the office of bishop, they desire a noble task. Now a bishop must be above reproach, the spouse of just one partner: temperate, sensible, dignified, hospitable, an apt teacher, no drunkard, not violent but gentle, not quarrelsome, and no lover of money. They must manage their own household well, keeping their children submissive and respectful in every way; for if someone does not know how to manage their own household, how can they care for God’s church? They must not be a recent convert, or they may be puffed up with conceit and fall into the condemnation of the devil; moreover they must be well thought of by outsiders, or they may fall into reproach and the snare of the devil. Deacons likewise must be serious, not double-tongued, not addicted to too much wine, not greedy for gain; they must hold the mystery of the faith with a clear conscience. And let them also be tested first; then if they prove themselves blameless let them serve as deacons. Let deacons be the spouse of just one partner also, and let them manage their children and their households well; for those who serve well as deacons gain a good standing for themselves and also great confidence in the faith which is in Christ Jesus. I received from the Lord what I also delivered to you, that the Lord Jesus on the night when he was betrayed took bread, and when he had given thanks, he broke it, and said, “This is my body which is for you. Do this in remembrance of me.” In the same way also the cup, after supper, saying, “This cup is the new covenant in my blood. 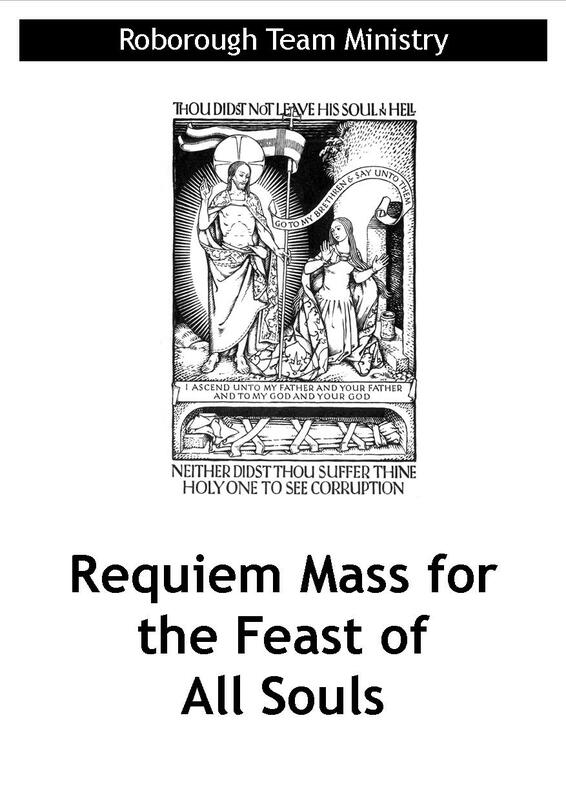 Do this, as often as you drink it, in remembrance of me.” For as often as you eat this bread and drink the cup, you proclaim the Lord’s death until he comes. Love must be sincere. Hate what is evil; cling to what is good. Be joyful in hope, patient in affliction, faithful in prayer. Share with God’s people who are in need. Practice hospitality. So faith, hope, love abide: these three. But the greatest of these is love. I hope in the Lord Jesus to send Timothy to you soon, so that I may be cheered by news of you. I have no one like him, but Timothy’s worth you know. I hope therefore to send him just as soon as I see how it will go with me; and I trust in the Lord that shortly I myself shall come also. Greet every saint in Christ Jesus. The brethren who are with me greet you. All the saints greet you, especially those of Caesar’s household. May the God of peace himself sanctify you wholly; and may your spirit and soul and body be kept sound and blameless at the coming of our Lord Jesus Christ. He who calls you is faithful, and he will do it. Brethren, pray for us. Greet all the brethren with a holy kiss. I adjure you by the Lord that this letter be read to all the people. The grace of our Lord Jesus Christ be with you. You can download a Prezi to support this here. Use freely. Share freely. In the name of the +Father, and of the Son, and of the Holy Spirit. O come, let us adore him, Christ the Lord! Gather Children in Chancel. Call any stray children to join us. • because some of you may be expecting something or someone later to call. • However, before then, I want us tonight to go on a special journey. • There are so many of us that we can’t actually move, but this will be a journey of the mind: a journey through the Christmas story, and through this journey, I hope that we will be able to remind ourselves of the reason why we gather on this special night, the reason for the season, the story of the birth of Jesus Christ, Our Lord and Saviour. but now – we can see! But now – we have a light to light up our way! And he will keep everyone safe. This is certainly an exciting time: and as we get all figitty with the sheer fun of seeing all our relatives, eating lots of scrummy food and may (if we’ve been good) opening the odd present or two! Sometimes, we can miss the reason for the season: sometimes amid the hustle and bustle, the noise, we can lose sight of the stillness, the pause. My grandma told me something special when I was young, and it forever changed my life. She played the piano and the organ in Church for many years, and tried to get me to play as well, but I wasn’t ever any good. She would teach me the names of the notes, what a major key is, what a minor key is, she would try to teach me musical theory, but I was just bored. I had no idea what she meant, so she told me to play a simple 8 note scale. She said that although I had played it fine, I had not played it correctly and that I needed to play it the other way. So I did. The pauses? The pauses she said. I needed to add them to the the 1st, 2nd, 4th, 6th, 7th and last notes. I was frustrated. How can a scale with random pauses make good news? I got up, left the piano and went outside. Frankly, I didn’t get was she was saying, and I didn’t really like playing the piano much anyway. Years later, I remembered what she told me, and I even remembered as clear as day the pauses: the 1st, 2nd, 4th, 6th, 7th and last notes. And heav’n and heav’n and nature sing. Knitted Nativity – dotted around the church, who should be there? No Jesus, because he is born tonight. We have another crib in this church, before we see it let us sing While Shepherds Watched Their Flocks. to you and all mankind. Here we can see all those characters that we collected at the front of Church. Even though she was going to have a baby. Because there was no room left for them at the Inn. God, the powerful creator of the world, could have sent his Son in power and glory and forced us to be good; but God loves us, and wanted his Son to show us, not force us. God sent Jesus in the world as a tiny, vulnerable baby; in an obscure corner of the world; so that the saviour of the world would be one of us: tiny and vulnerable in this great big world. It’s very tempting to only think of the baby Jesus and to forget that this is not the end of the story, but only the beginning. The child born in a smelly, cold, cave which sheltered animals would grow up, and the fabulous stories told of his birth would be mirrored by those wonderful things he did as an adult: to make the deaf hear, the blind see, the lame walk and to heal the sick; but none of that compares to the ultimate giving – the best present of all, the gift of our eternal life, won by the baby grown into the man, the man who offered himself on the cross. So remember, don’t keep the baby in the manger, don’t cling onto the chocolate box image of the child, but allow the child to grow, and your faith will grow too – for the mature Jesus is the man who won us the ultimate freedom through the victory of the Cross. Can anyone tell me what a Christingle is? • An Orange, which represents the World that God made. • … dried fruit, and sweets representing God’s gifts to the world. Christingles not only signify the goodness of God to us, but also they can be a focus for Christmas. If you can, replace the sweeties on the Christingle tonight (show pic of bare Christingle) and place it alit on your Christmas table, so as you gather as a family, you can be reminded of the place that Jesus Christ has amongst your festivities. When you have completed your Christingle, let us gather before the Altar Rail, where we will light them. The children will sing the first verse of Away in a Manger in the candlelight and then for the next two verses we will all join in. and stay by my bedside till morning is nigh. close by me for ever, and love me, I pray. and fit us for heaven, to live with thee there. Now, tomorrow is the birthday of Jesus Christ, Our Lord and Saviour, and all these candles make it look a bit like a birthday cake. I don’t know if we have 2014 candles here, but we have quite a lot… What song do we sing at someone’s birthday? Why don’t we all sing “Happy Birthday Dear Jesus” to remind ourselves of why we celebrate Christmas – the birthday of the most special man ever in the history of the world! be upon you and remain with you, this night and always. Go in the light & peace of Christ. Your bliss in our hearts, Lord, at the break of the day. Your strength in our hearts, Lord, at the noon of the day. Your love in our hearts, Lord, at the eve of the day. Your peace in our hearts, Lord, at the end of the day. We may make the Sign of the Cross as the priest welcomes and greets the people. In the name of the +Father, and of the Son, and of the Holy Spirit. Amen. I confess to Almighty God, and to you, my brothers and sisters, that I have sinned through my own fault, in my thoughts and in my words, in what I have done and in what I have failed to do; and I ask blessed Mary, ever-Virgin, all the Angels and Saints and you my brothers and sisters, to pray for me to the Lord our God. The priest says the Collect or Opening Prayer, after which we may sit. hear our prayers and console us. The souls of the faithful are in the hands of God, and no torment can touch them. To the unenlightened, they appeared to die, their departure was regarded as disaster, their leaving us like annihilation; but they are at peace. If, as it seemed to us, they suffered punishment, their hope was rich with immortality; slight was their correction, great will their blessings be. God was putting them to the test and has proved them worthy to be with him; he has tested them like gold in a furnace, and accepted them as a perfect burnt offering. 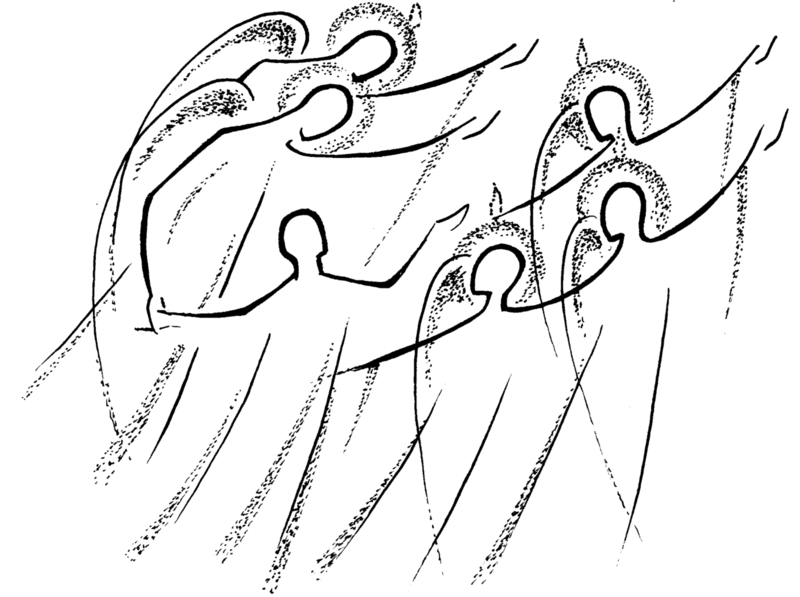 At their time of visitation, they will shine out; as sparks run through the stubble, so will they. They will judge nations, rule over peoples, and the Lord will be their king for ever. Those who trust in him will understand the truth, those who are faithful will live with him in love; for grace and mercy await his holy ones, and he intervenes on behalf of his chosen. E’en for His own name’s sake. And staff me comfort still. My dwelling place shall be. Jesus said to his disciples: `Do not let your hearts be troubled. Believe in God, believe also in me. In my Father’s house there are many dwelling-places. If it were not so, would I have told you that I go to prepare a place for you? Jesus said to him, `I am the way, and the truth, and the life. No one comes to the Father except through me. Praise to you, O Christ. We pray for those we have loved and see no more. As the names of the departed are read (in alphabetical order), you are invited to come forward and light a tealight in their memory. Hail Mary, full of Grace, the Lord is with thee. Blessed art thou amongst women and blessed is the fruit of thy womb, Jesus. We greet each other in the name of Jesus, with a handshake and a word of peace. only good and only true. God unknown, he alone calls my heart to be his own. But God’s power, hour by hour, is my temple and my tower. beauty springeth out of naught. Evermore from his store newborn worlds rise and adore. pleasure leads us where we go. Love doth stand at his hand; joy doth wait on his command. for the gift of Christ, his Son. Christ doth call one and all: ye who follow shall not fall. Pray, my brothers and sisters, that this our sacrifice may be acceptable to God the almighty Father. May the Lord accept the sacrifice at your hands, for the praise and glory of his name, for our good and the good of all his Church. +Blessed is he who comes in the name of the Lord. Hosanna in the highest. The priest continues with the Eucharistic prayer. …Through him, with him, in him, in the unity of the Holy Spirit, all glory and honour is yours, almighty Father forever and ever. This is the Lamb of God, who takes away the sins of the world. Blessed are those who are called to his supper. Lord, I am not worthy to receive you, but only say the word, and I shall be healed. Communion is distributed. PLEASE come forward to receive the Sacrament. If you would prefer to receive a blessing, please bring this sheet with you to signal this to the Priest. Where is death’s sting? Where, grave, thy victory? bring the departed faithful to the peace of your eternal home. and with the hope of rising to new life. Amen. a place of light and peace. Amen. so may you live with him for ever in joy. Amen. and may almighty God bless you. The +Father, and the Son, and the Holy Spirit. The Mass is ended, go in peace. To His feet thy tribute bring. To our fathers in distress. Slow to chide, and swift to bless. Well our feeble frame He knows. Rescues us from all our foes. Widely yet His mercy flows. Praise the High Eternal One! Dwellers all in time and space. Praise with us the God of grace. I have a traditional view of marriage. I believe it to be a life-long commitment of one to another. I believe it calls the married to commitment, fidelity and honesty, sharing and mutual respect. I believe that marriage is important for society: it builds community and places relationships and love at the centre of community. I believe that marriage is essential for the upbringing of children because it provides a framework of security, love & support. I believe that marriage does not abuse or belittle, but upholds the dignity of the individual in the unity of holy matrimony. I also believe that the gender of those committing to holy matrimony is immaterial, because love is the core of this sacrament and not gender, childbearing, race or class. 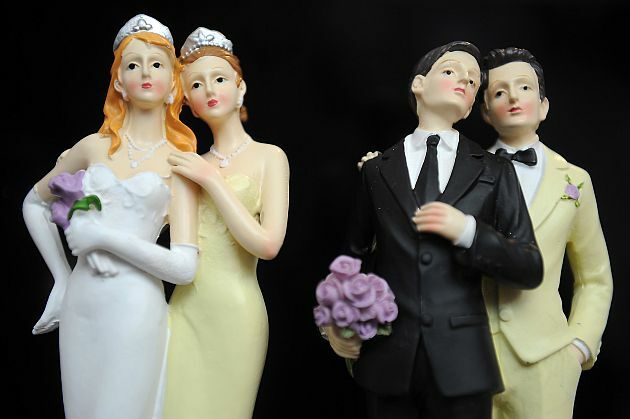 A traditional view of marriage should be solely about values, not genitalia. I want us to reclaim the word “traditional”. “Love is patient; love is kind; love is not envious or boastful or arrogant or rude. It does not insist on its own way; it is not irritable or resentful; it does not rejoice in wrongdoing, but rejoices in the truth. It bears all things, believes all things, hopes all things, endures all things”.